NIST students heard an inspiring talk by Jackie Chan followed by a dialogue session with him. 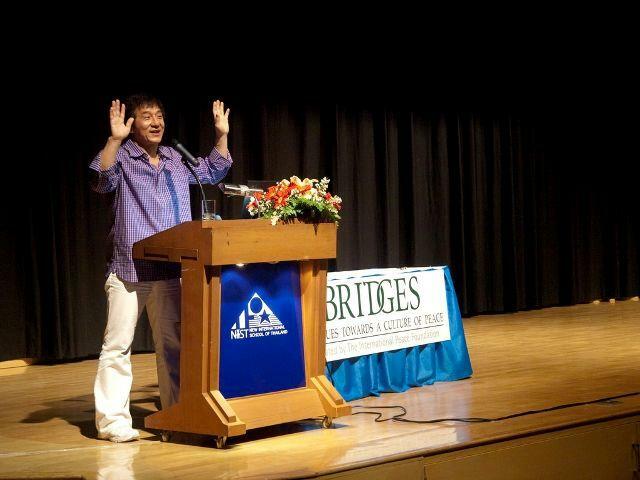 Jackie Chan’s visit to NIST was part of the third ASEAN event series "Bridges - Dialogues towards a Culture of Peace”. Linking his work to peace building, he shared with students how, in each of his recent movies, he has tried to give hidden messages to teach values to his audience, especially the young. Students enjoyed the very frank talk with Chan and were able to ask him questions on both personal and global issues.